Mark Epstein, MD, is a psychiatrist in private practice and the author of Going to Pieces Without Falling Apart, Thoughts Without a Thinker, Open to Desire, and Psychotherapy Without the Self. He lives in New York City. "This brilliant, compassionate book is rich in insight: the author describes his own journey, not just as a psychiatrist, but as a spiritual seeker like the rest of us. Whether he is relating as a counselor, a friend, a student, a partner, or a parent, his jouney is universal, descibed in liquid prose that flows effortlessly." "Going on Being opens the door on what it means to understand ourselves, to grow and to change." "A calm comes over me when I read Mark Epstein's work. Going on Being extends Epstein's vision and provides a personal memoir of his introduction to Buddhist thought in the context of transformative relations ships with some remarkable men." 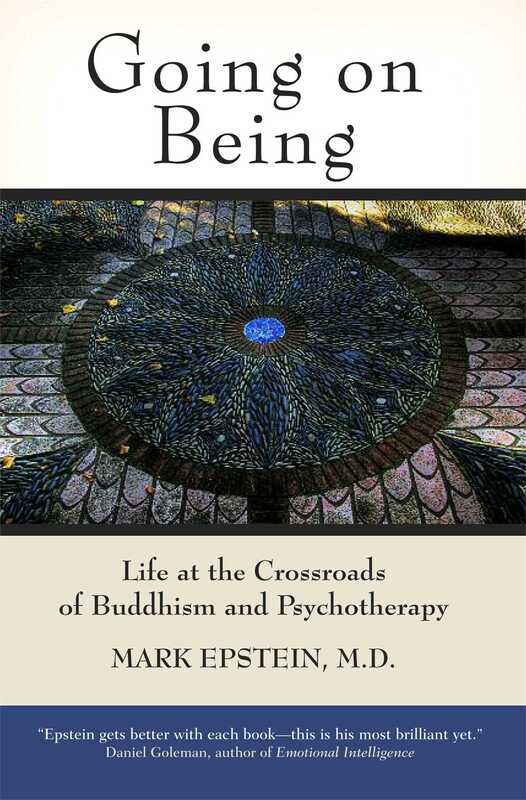 "Through a graceful and generous recounting of his own quest for healing, Mark Epstein brings together core insights of Buddhism and psychotherapy in a way that is newly illuminating. It will go among the handful of books that I keep near me for those times when I reach for true solace." "Going on Being affirms the goodness of our existence and encourages an openness that keeps us fresh." "Like the best Buddhist masters, Epstein tells wonderful stories, full of wisdom and flashes of inspiration. From the stories emerges a way of being and seeing."